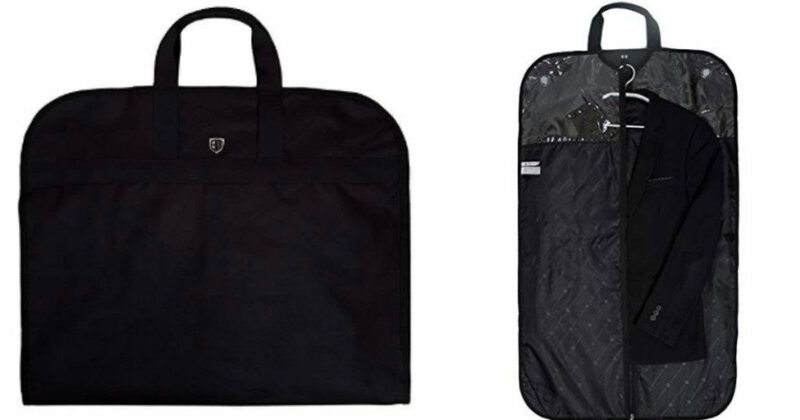 Head over to Amazon where you can grab this BAGSMART Lightweight Foldable Carrier Garment Bag for Suits and Dresses for just $15.59 shipped after you enter the promo code EEN5ZW48 at checkout! This bag comes with a top hanger for quick and easy packing and has a full length sturdy center zipper for easy access! It can easily be folded up to store in a suitcase or luggage. It also features a light weight garment cover that’s perfect for protecting your suit, shirts, or dress while traveling.